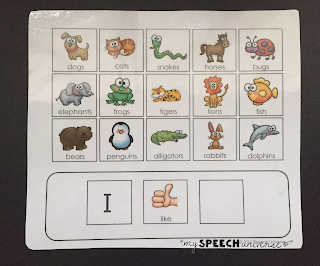 Many of you have asked where I got my visuals for conversation in my 5 Tips for SLPs Working with Students with ASD. I have worked on these over the years, and I am ready to share them with you! 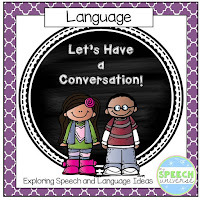 Let's Have a Conversation is a packet that has helped me and the school social worker at my school give our students with ASD a way to learn how to have a very simple conversation. 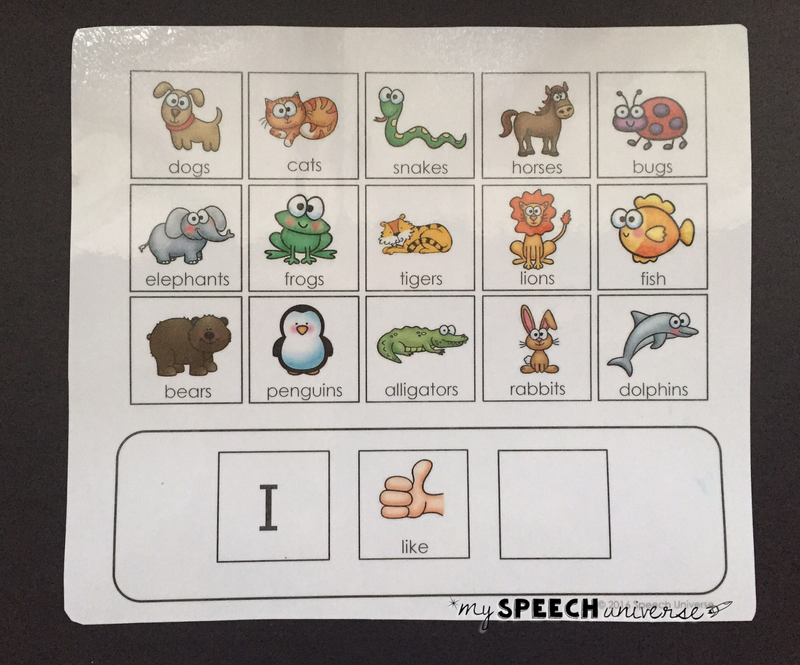 Using visuals and removable icons, we have expanded utterance length in our students and helped them to learn the skills needed to have a conversation. We try to do this during our peer support times with our SNAPs students (Students Need A Pal), but also practice with just ourselves and the students with ASD. When we have SNAPs students, we have them ask the questions. When they are not there, the social worker or I ask the questions. The questions are simple such as, "What is your favorite color?" We give students a variety of options to choose from. Sometimes, they may start with just answering with one word. We try to quickly work up to complete sentences just to expand utterance length. In reality, students don't usually answer a question with "My favorite color is blue." They may typically just say the word, or something like, "I like blue." I have included two different visuals in this packet for that reason. You can choose which carrier phrase you would like to use. This is the visual used to ask questions. "My favorite ____ is ____." There are also ten topic cards included that can be used with students who are ready for the next step in conversations. On the left of the card is a topic question. On the right hand side are some additional comments or questions that the student may use in the conversation. These visuals have helped so many of our students make gains with asking and answering questions with their peers. 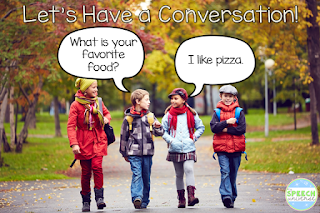 We have had so much fun watching our students grow in their conversational skills! You can get these visuals HERE and hopefully watch your students grow too!